Holy Batman, you mean there’s another 40% of the nation’s wealth out there being wasted in the hands of lazy worthless ingrates? Time to take it off them methinks. Not sure if ill informed racist or sarcastic……..
That was a positive article about Iwi economic growth. I’m really not sure where you’re coming from sorry. It was aye, though employee’s wont be getting much . Apparently, some take offence if you call the electorate ignorant. As I argued in one of my comments last night we get fed so many mixed messages that we end up being hopelessly confused and unsure what to think or do. This article syndicated from the Washington Post describes it much better: Barry Ritholtz: Culturally constructed ignorance wins the day. 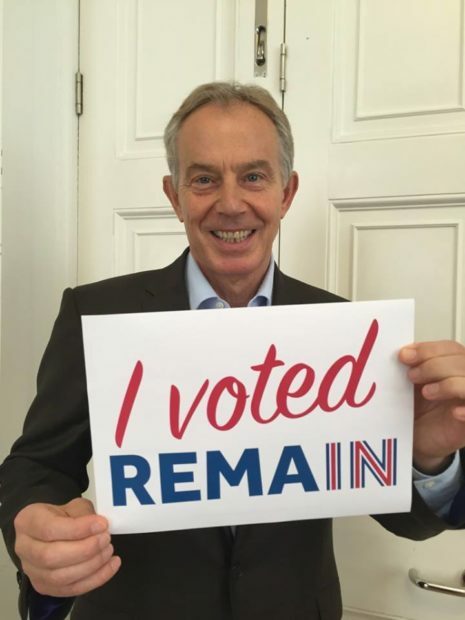 Big Bankster Consultant, Iraq War Criminal and Arms Dealer Tony Blair wants in the EU? That tells us a lot. Big media baron, owner of the influential Sun newspaper, very, very close friend of Blair throughout his Prime Ministership and who lobbied for faster UK involvement in Iraq, has called Brexit “wonderful” and likened it to a “prison break”. I’m not sure what that tells us, except that he’s a man who uses and abuses his excessive power and influence and is a war-mongering euroskeptic. There’s no shortage of nasties on both sides.